It's been over a decade since the release of last Might And Magic computer role-playing game (IX), which was quite a disaster after long running successful game series developed by New World Computing. While the last one of the series was simply put, bad, the franchise is still best remembered by those eight great party-based computer role-playing games ranging from the mid-eighties to late nineties up until Might And Magic VIII: Day Of The Destroyer. Nowadays, New World Computing is long gone company which fell into bankruptcy, and rights to Might And Magic titles are now owned by Ubisoft, who have been releasing Heroes Of Might & Magic (strategy) franchise games in the new millennium with constant frequency. Lets forget about HOMM for a moment. How about old good MM role-playing franchise, the one, of which spin-off HOMM series are? "The fact that I am part of the development team of the successor of one of my favorite games back when I was still a kid and couldn’t even comprehend how games are made. So you can say that MMX is fulfilling the childhood dream I never had. I personally really like the fact that we decided to go for the grid based movement and turn based combat as it brings the game closer to Xeen and provided interesting design challenges." (Marcus (LE-Marcus) of Limbic Entertainment, game designer). 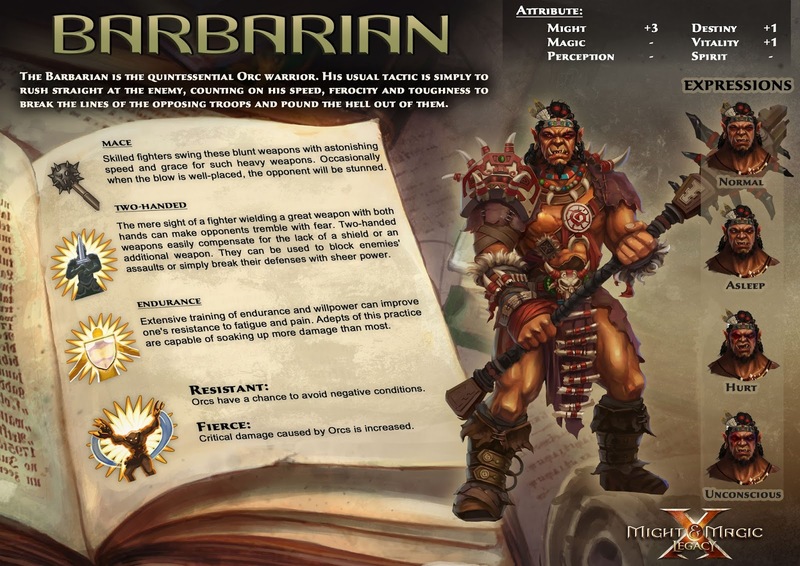 "A great opportunity to get party based RPG's back on the table. :) Mixing retro game features with modern technologies is a big challenge. I am really amazed what we already achieved at this stage of development and I am sure you fans will also be amazed of this new step in the M&M series." (Thomas Steuber of Limbic Entertainment, technical lead). "As Might & Magic was my first big game when I was “younger" (very first was “Wizard Royal” on Atari ST), I just love that I am now participating in the development of a tribute! After all those years!! :) I like the most that the team tries to retain the vision of the previous games. In general I love that the Might & Magic RPGs have been party-based and that MMX is going to be, too." (Anna (LE-Larissa) of Limbic Entertainment). Might And Magic franchise was always about exploration and discovery, with deep enough, but not the most deepest character generation and system around. There were quite a bit skills and skill-upgrades for characters, but ruleset itself was not the tightest and most limiting one around. That style did fit the franchise perfectly, however. The previous MM games featured a hugely diverse and large game world, set in high fantasy setting, which leaned towards more chaotic and fun, than "realistic" fantasy world setting (if that made any sense?) with tight rules. Might And Magic games were never easy, though. They were long to complete and ranged from medium difficulty to very hard moments and areas. I'm hoping that Might And Magic X Legacy accomplishes the same qualities. Might And Magic X: Legacy is due to be released in early 2014 according to Gamestar Magazine (the exact date still is unknown at this point), while "Early access" to the game is granted as soon as next monday, 19th of August 2013, including the "1st Act" of the game to be playable with four classes out of the final twelve, and automatic update to digital deluxe edition once released see more details at the end of the post (http://www.gamestar.de/spiele/might-magic-10-legacy/news/might_magic_10_legacy,49310,3026706.html). See more details about early release in the end of the post! 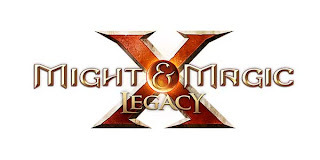 Limbic Entertainment has been leaking quite a bit information about their upcoming Might And Magic X Legacy, and I've tried my best to combine most important parts of that information in least chaotic form of written document here. Hopefully I'll succeed, at least partly. Might And Magic X: Legacy will take place in world or Ashan, featured in Ubisoft's latest Heroes Of Might & Magic franchise games. Thus, those hoping to see return of Erathia or Xeen, aren't going to get the exactly same world setting delivered from the past they may have hoped for. But on the other areas the game relies so heavily on the past, that old veterans of the series might just accept it as a new chapter for the franchise. This remains yet to be seen. More accurately the game will not feature a whole world or Ashan, but a region in it, called Agyn Peninsula. In MM:X Legacy you will play as a group of raiders sucked into the game's main plot, which is yet uncovered. Along the main quest of the game which progresses the story forward, you will also be able to take several side quests along your journey for some extra gold, rare items, or character class/skill upgrading features. The game will be totally non-linear after an initial starter-area, where tutorial teaches you how to play the game! MM:X Legacy will be first-person 3D computer role-playing game. 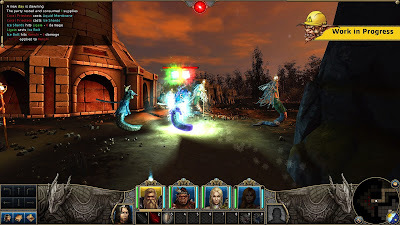 It uses tile-based movement, which is known from the previous games Might And Magic I-V, rather than free movement seen in Might And Magic VI-IX. Continuing the same tradition than elder titles of the series, it also uses turn-based combat, where you and your enemy (or more enemies within the same tile) take turns on attacking (and blocking). You can attack with regular melee weapon attack, cast spells, or use ranged attack. In Legacy you will create a party of four heroes. That part is comparable to Might And Magic VI-IX, where the amount was also four, unlike in I-V, where you could create up to six heroes. Your party can be created either manually, randomly, or you can choose pre-made party, but who would really want to? 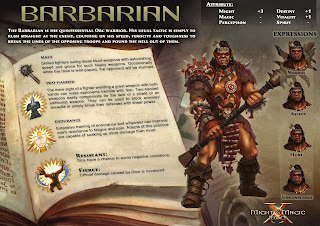 In addition to your own characters, you can hire maximum two "hirelings" to your party for granting different bonuses. They, of course, do cost some money. Your characters may get knocked unconscious, get paralysed, stunned, poisoned, feebleminded, cursed, weak, fell asleep, or die during combat. Resurrection of the dead is still present as in previous titles. The interface seems to be leaning bit towards old-school, while still featuring "modern touch". Those wishing for real "paperdolls" in character screen will be disappointed to hear that they use static character images, which won't change depending of armors and weapons you wear. There is, however slots for weapons, helmets, amulets, boots and all that stuff, waiting you to find some fine loot or bargain at local town store. The inventory is grid-based where each item takes certain amount of space. 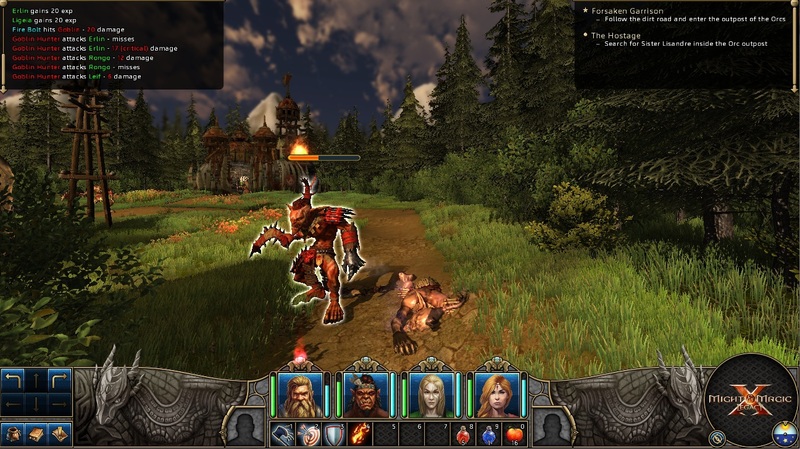 The game does also feature artistic interface reminding of the earlier Might And Magic games, with character portraits that do change face depending of different condition (paralyzed, poisoned etc.) and some neat interface graphics, leaning towards the old-school style. Mouseover pop-up information boxes do help new players to check quickly what each attributes and skills mean. Legacy also features a minimap in main interface, world map, and does have auto-mapping feature, whereas unexplored territory will be presented simply as, black, but once discovered, the game automatically maps it for you. This brings smile to my face, since you have to actually explore every bit of the world to see what relies in the area. It enhances the adventure-experience. As stated, the game's world does not take place in a full world region, but rather a part of a full world region: Agyn Peninsula in world of Ashan. Some of you may then wonder whether it hurts the game's environmental diversity, or is the game world much smaller in size compared to previous MM titles? It's a good point and will be interesting to see whether Limbic puts out a full scale MM title or something, which old veterans would call "a lite" version in terms of size and gameplay content. Limbic has stated that completing the game would take approximately 25 hours to finish. However, that's most likely only main quest without following unnecessary side quests, which many of us feel are necessary, anyway! Agyn Peninsula world map will consist several archtypes of outside areas such as plains, barren lands, forests, jungles, and mountains, which will have monsters roaming around. The map will be free to explore, with certain limitations to specific areas, to which you will find a way to enter bit later in the game. You might also miss a few altogether in one play through. When traveling, you will also need to sleep to heal your wounds time to time, which will require food. Like in previous titles, you will have limited amount of food in your packs, which will run out and you'll be forced to replenish at the town at some point. Devs stated that cities might not be completely "safe havens", but didn't want to reveal more as it may reveal too much about the story. In towns you can also meet several NPCs to bargain for weapons, find trainers for your skills, get quests and turn them in, and buy spells. However, visiting towns to pay for a trainer for leveling up is not necessary anymore, since leveling up now happens automatically whenever you gather enough XP (experience points). This grants you attribute and skillpoints to spend freely for each character that leveled up. However, to reach higher tier status in your character skills (from Novice tier to Expert, Master, and Grandmaster) requires you to visit trainers and pay them, of which many are located most likely in cities. You may also find a trainer to unlock "a paragon class", a class specific upgrade (featured for each class), which will grant your character special bonuses when unlocked. However, that upgrade may not be available right in the beginning and may require a special quest to do first. Similar mechanic was featured in MMVI-VIII, where for example in MMVII: Blood And Honor you could upgrade your Sorcerer to Lich later in the game. And of course a true adventurer would not forgot the dungeons and caverns themselves. 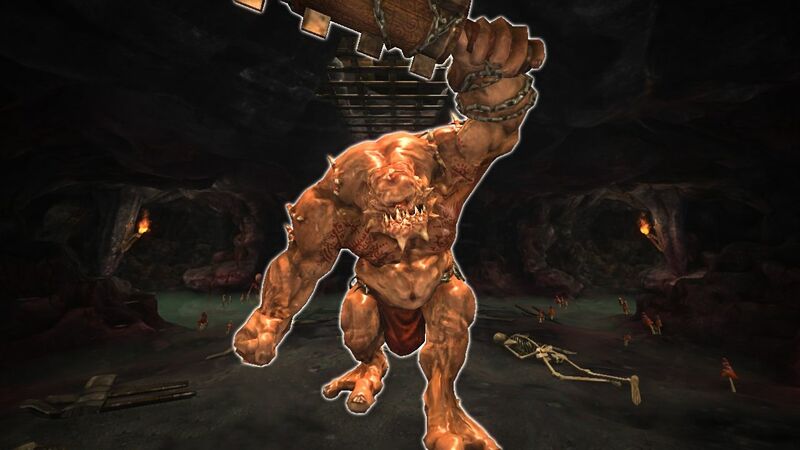 Developers have promised at least 23 different dungeons, which hold treasures to loot, quests to complete. Added with over 50 different monster types to kill (though not stated whether each monster has several different sub-types like in MMVI-X). Dungeons have different arch types as well, such as forts, temples, ruins, and caverns etc. Some of the dungeons will be multi-level dungeons. I have a feeling that they will not be as big as in previous MM games, judging by their development blog I've been following, but it remains to be seen. Limbic Entertainment's dungeon-making competition at least limited dungeon levels to two, although, it hasn't been said that the devs themselves wouldn't design bigger ones. Also, hidden locations, artifacts, and buttons to open different gates in dungeons are featured in the game. "Blessings", which may permanently buff your party in some way, may also unlock previously unreachable areas later in game, when acquired. Thus, map size shouldn't be a big issue, but rather the way it's used, and how filled up with events, monsters, hidden treasures, and quests the map is. There has been concerns by some fans whether the game will be as difficult as before, or has it been made to be "too easy" (which is trend nowadays compared to nineties and eighties). Limbic Entertainment developers have responded that they will squeeze two difficulty modes in: adventurer and warrior. How difficulty varies between them is still a question. However, game designer Marcus stated that "we're aiming for a challenging gaming experience. MM:X Legacy also won't feature "adaptive difficulty", in other words, level scaling. This means, that in the game several monsters and areas will be higher level than your heroes if you stumble on them too early on. You won't be able to kill and conquest everything before you level your party up enough. Character creation and system if heart of every real computer role playing-game and defines largely the game's depth and complexity. In Might And Magic X Legacy your party consists of four heroes. Your options are either using pre-made party, random generating a party, or creating your own custom party with character generation process (which, obviously is what 99% of us wants to do!). Your first choices will be selecting class (which also defines a race!) for each hero, each of which provide their own unique bonuses for your characters (see the listing below). 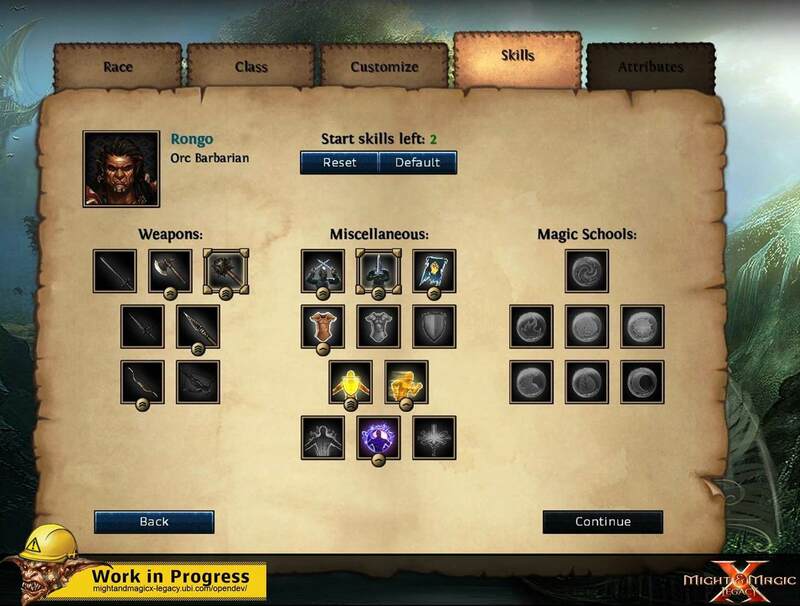 Character class also defines which skills are available for your hero at the beginning. In addition you have two open slots for skills for each hero in the beginning, which you can fill with skills of your liking. 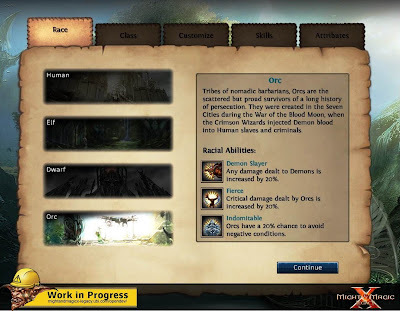 Your class choice then define which race(s?) are available for you at this point (each race provides their unique racial bonuses). You can choose name for each of your four heroes, which is quite obvious. Each of your heroes then has their base attributes (might, magic, perception, destiny, vitality, spirit), in addition with health and mana points, which you can modify for each hero. 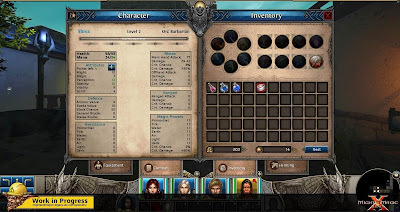 Might And Magic X also allows you to customise your character with different character portraits and voices, depending of character's race and gender, just like in Might And Magic VI-VIII for example. Each class has their own dedicated "paragon class", bit like in Might And Magic VI-VIII had, whereas at certain point of a game you can take a special class-specific quest and complete it to unlock that class-specific upgrade for your heroes. Unlocking paragon class in MM:X Legacy would also unlock Grandmaster skills for upgrade (according to devs). So can you combine any race with any class freely? This decreases different possible character race and class combinations. which then defines the different classes available for heroes of that race"
"When creating your own characters for your party, you can choose the class (which also defines the race), a gender, and change the default character name to a name of your choice"
The newer update definitely leans toward the fact that there will be only one matching race for each class. For example: Defender-class is always a dwarf, but thinking other way around, if only four races end up on the final product, and there are twelve classes, then dwarf should be able to be either defender class, or yet two more unknown character classes. Makes sense? However, I'm not sure whether all races have been revealed yet? 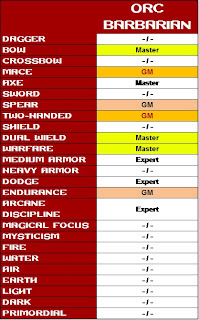 If you long for older previous Might And Magic games where you could not only upgrade your skills by increasing numerical value, but also be able to learn Expert, Master, Grandmaster upgrades for each available skills by finding and visiting skill-specific trainers around the game world, then you should be happy that these skill-specific upgrades (which cost some gold) are also included in MM:X Legacy! Especially, when "paragon class" for game's each character classes is added on top of that. of each skill be able to teach it's all levels: Expert, Master, Grandmaster. For getting spells, you have to pay a visit to arcane libraries located usually in bigger cities of Agyn Peninsula. A slight disappointment is that it seems to be the only way to acquire spells. So far it's not mentioned that spells could be found among loot in the dungeons or hidden within gameworld, unlike other treasures. Oh well! By the way, you can use scrolls without the having knowledge of magic with any character, but the spell scroll will disappear when used. 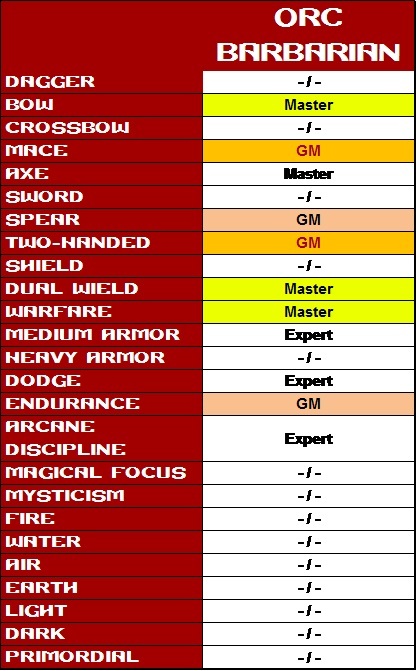 Below are all stats, attributes, and skills we know are in the game so far. Sadly, spells are yet unknown! We just know the different schools of magic (see below). -After each level-up you gain extra health and mana points automatically, depending of your character class. Potions can be used to replenish both of the stats. -Compared to earlier MM games attributes have been bit revamped. Luck has been removed all together. After each level-up you get five amount of points to distribute for attributes. instead of a single skill. -There's four tiers for each school of magic (does this mean Novice, Expert, Master, Grandmaster?). Unlocking tiers will provide you higher tier spells to use. For example, one of tier 1 fire spells is Fire Bolt, tier 2 - Fireball, tier 3 - Fire Blast, tier 4 - Fire Burst. Spells are roughly divided into attack spells and buffs (increase character attribute/skill etc.). Wearing orb or staff increases spells critical damage output, but you need a corresponding skill to wield them. the rest will indeed require some exploration! The idea of blessings being part of unlocking some main, as well as hidden areas sounds tempting and game enhancing experience. 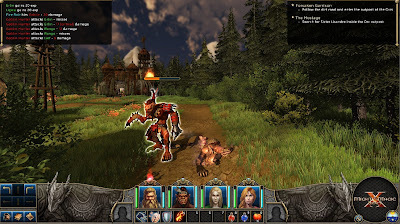 In Might And Magic X: Legacy combat you and monsters take turns in attacking/casting spells, and try to block attack while the others are striking. Since the movement system is also tile-based, each tile can only hold limited amount of monsters stacked up together. Monsters are divided into three size classes, whereas one tile can hold two three small-sized monsters, two medium, and one large monster. This way you cannot end up fighting insane masses at once, like in Might And Magic VI Mandate of Heaven, but it doesn't necessarily mean it's easier to win. You can only attack melee to the next adjacent tile from your party, but can cast and execute ranged attack further away. You can also direct attack to any monster in specific tile without limitations, in case rules apply that you can strike to the tile. MM:X Legacy does also feature a "danger indicator", which has three levels representing whether monsters have seen you, are they just watching you out, or are they actually attacking towards your party. Executing successful strike and dealing damage is defined by your character skills, while monsters have fixed value. Defending against a blow depends of your armor rating, evade and block values. Naturally, resisting against magical attack relies on corresponding value of magical resistance towards the school of magic which spell was used. You can either successfully resist the whole spell altogether, but if it gets through, damage depends of your spell resistance value. Monsters or their spells may curse or paralyze you, or make you weak for instance. You can use different healing and mana potions to replenish your characters, and if you've make you'd better be using buff-spells to boost your partys stats! Loot in MM:X Legacy will be, like in previous games, randomly generated. When monster is defeated, loot is collected automatically to your inventory and XP (experience points) are divided between your party members, whereas the slayer does get some extra points for his own. Might And Magic VI-VIII were one of my all time personal favorite games ever, and I still play them time to time. I'm really, humbly, hoping Limbic Entertainment to deliver a great game, that feels like a worthy Might And Magic successor title! Early release of Might And Magic X: Legacy is out as soon as Monday 19th of August at Steam early access games, and later on in Ubisoft's Uplay store (I was left bit unclear by Limbic's slightly messy updates whether Uplay store version is available only at the final release as boxed copy while early access is only from Steam? ), but I'm not sure whether you will miss some goodies ordering "early access" through Steam (after the game is upgraded to the "digital deluxe version" after final release)? Better make sure! If the early access is upgraded to digital deluxe edition without a boxed copy, then you would need to buy the game second time, if you wanted to get the boxed copy too. No place so far states the automatic upgrade and it's content clearly enough, except that you will get the full game after the update, which is all we know so far. -be sure to check and confirm these from the actual sellers website before buying! -you may also want to check and take part on actual MM:X open development blog! "[...]There are 5 completable quests in the early access. 2 of them are optional, the others are required to progress the story. Quests in EA don't have multiple solutions, and are very much just "missions"
(username Zed. Rpgcodex forums. http://www.rpgcodex.net/forums/index.php?threads/rpg-codex-hands-on-preview-might-magic-x-legacy.85720/page-2). There's also a Might And Magic X Legacy "Early Access" version let's play Youtube video by Gerugon in HD, which will probably give you even better image of the game (in German only). You can see the video in here!